Nazi Germany's best chance of winning World War II on the Eastern Front came in October 1941. 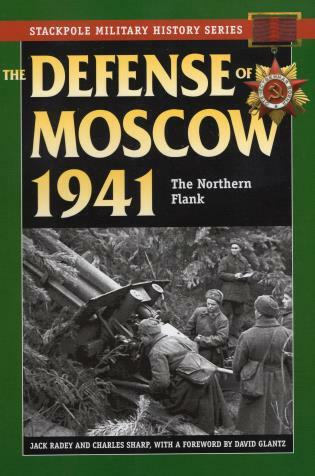 Most of the Red Army's forces around Moscow had been smashed or encircled, and no reserves were available for the capital's defense. All that stood in Germany's way was a handful of Soviet rifle divisions, tank brigades, and militia. When their attack ground to a halt, the Germans blamed the mud, but close examination reveals that it was the scraped together and poorly coordinated resistance of the Red Army that stopped the Germans. Radey and Sharp tell the dramatic story in this study of a pivotal battle in the struggle for supremacy in the East. Jack Radey has researched World War II for decades. He lives in Eugene, Oregon. Charles Sharp, a Penn State graduate and U.S. Army veteran, has written numerous books on the Soviet and German armies.